The original Nautilus Radio has been discontinued. Full technical support is still available. Nautilus LifeLine Radio puts safety into the hands of everyone in, or on the water. 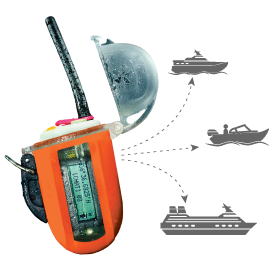 Nautilus LifeLine Radio is depth rated to 425 feet (cap closed) and is a very simple, but incredibly clever way to call or send a distress message to boats around you up to a demonstrated range of 34 miles. The Nautilus LifeLine Radio works everywhere in the world. 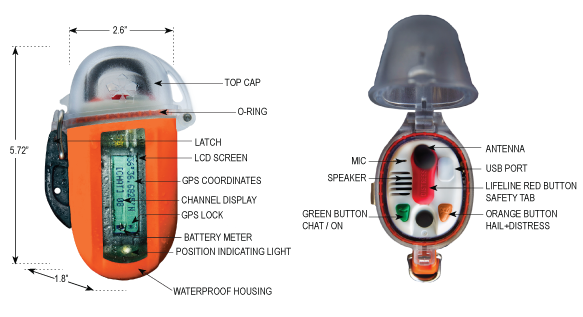 Explore the newer, smaller, Nautilus Marine Rescue GPS!